Peach Couture Bed in Bag 8 Piece Set has a beautiful flocking fabric with Elegant geometrical print within each style and color. 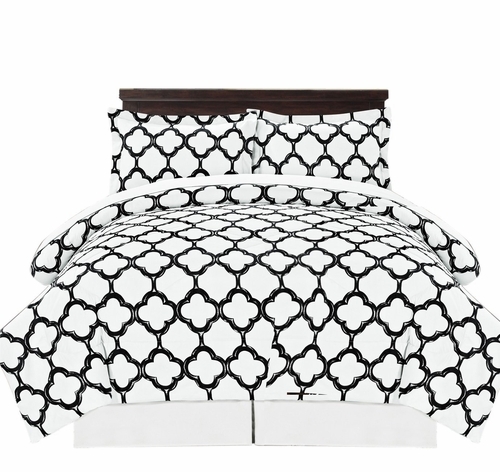 Each one of our bedding sets are offered in a choice of sizes, Queen-size, or King-size. 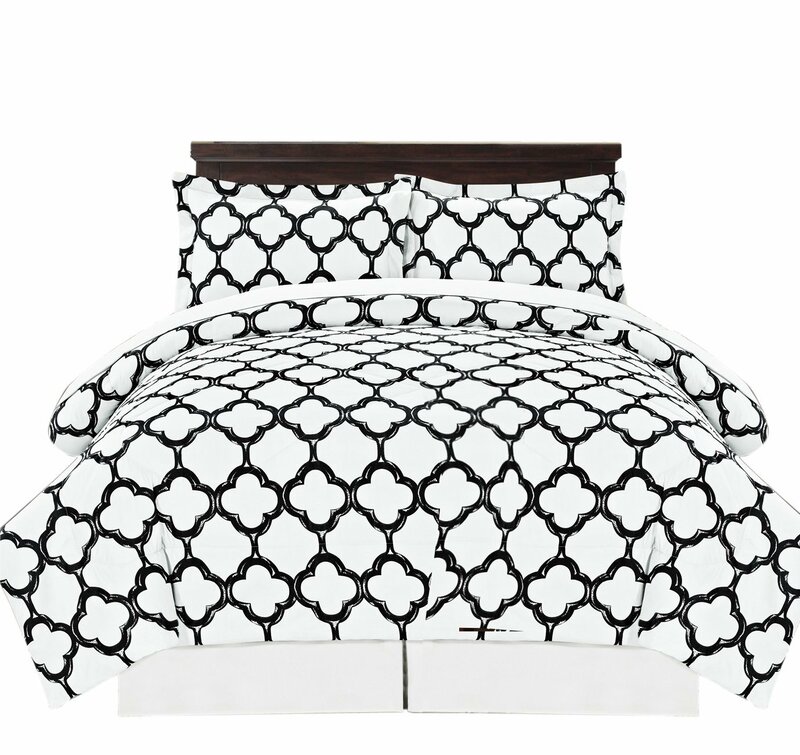 You could create a welcoming environment and a restful vibes in the bedroom with this affordable and high fretwork patterned Bed-in-a-Bag 8 piece comforter set. Reversible Bed in a Bag creates a completely new look in seconds! This set will add a warm style and elegance to any home. Great for any bedroom of the house, as well as a great gift for your loved ones. Can be used for seasonal or everyday personal use. The vibrant boho patterns and different colors create the perfect balance between modern and fun. This exclusive bed set features 1 comforter, 2 shams, 1 bedskirt , 1 flat sheet, 1 fitted sheet, 2 pillowcases – you can decorate your bed differently in just few minutes with the same set! The zippers are very durable and convenient to use as they are hidden by a flap. 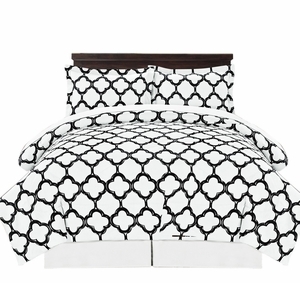 Comforter can be easily open and put into wash. You would simply love your new comforter set!